Extensive maintenance works taking place at Whyteleafe Railway Station in Croydon required the creation of a temporary haul road to mobilise cranes and heavy construction vehicles. 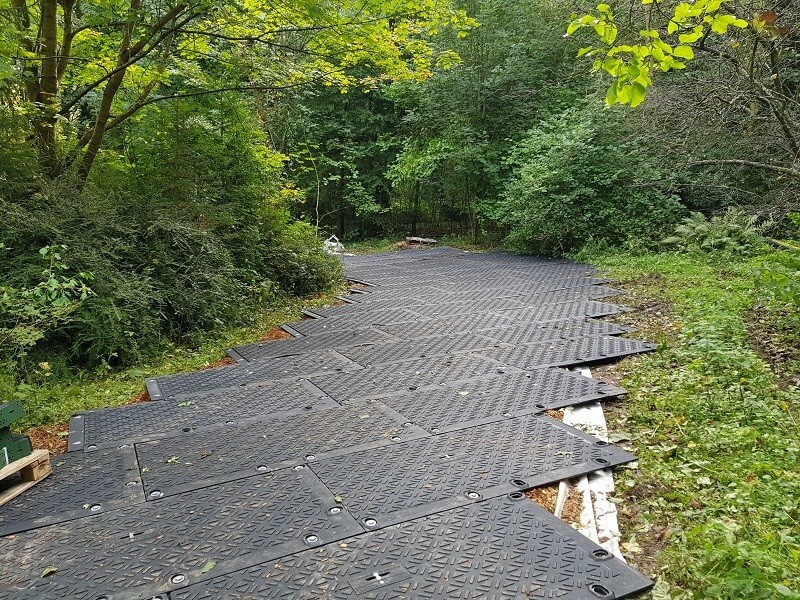 These vehicles would travel through ecologically sensitive woodlands, so care needed to be taken to protect the ground and surrounding area whilst the long term works took place. We recommended MaxiTrack as the ideal solution for this project. 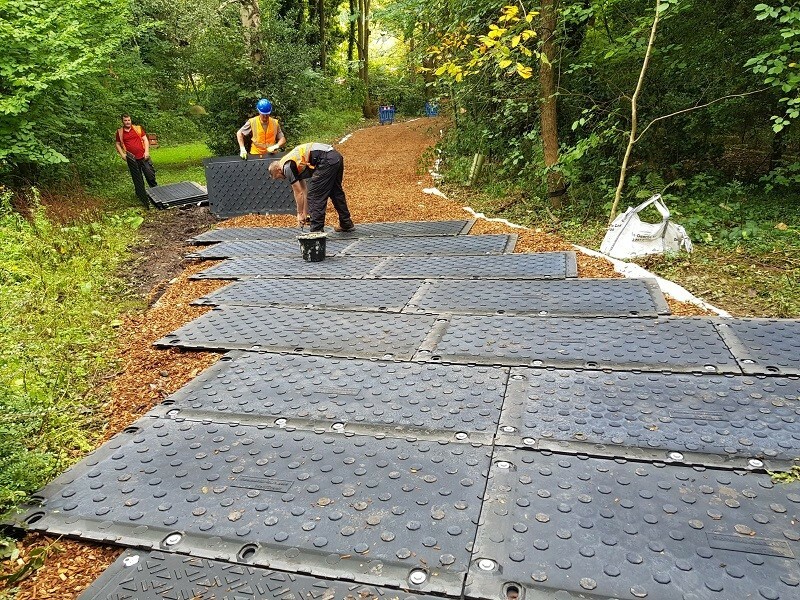 Guaranteed unbreakable by heavy vehicles up to 130 tonnes, the MaxiTrack system is strong, lightweight, easy to handle and quick to install. 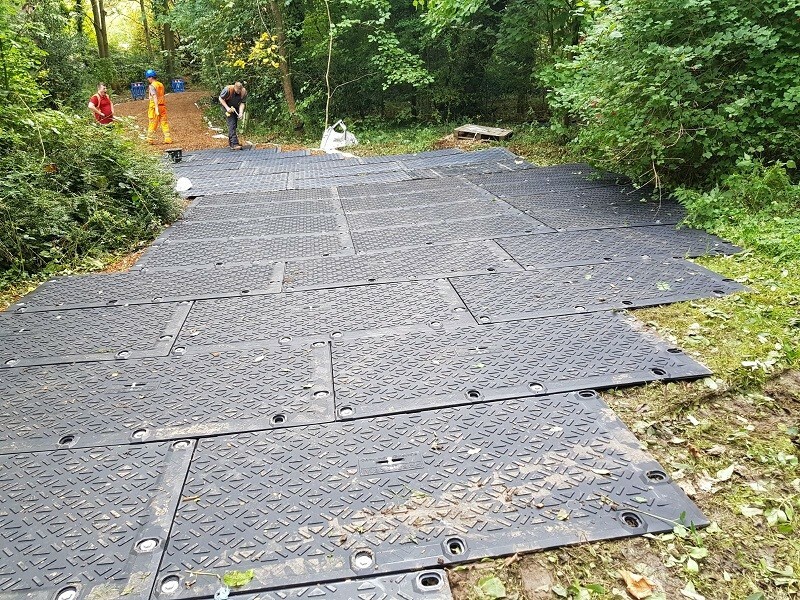 The HDPE mats have the flexibility to follow ground contours, and their overlapping flange joints suppress mud seepage. The system’s modular design caters for the mats to be joined at staggered intervals. A long term, temporary haul road has now been constructed through the woodlands to enable safe and easy access to the work site. The client was delighted with the speed, efficiency and performance of the MaxiTrack system.